I am having a slumber party for 11 year old girls and I need to know some fun games that don't cost any money and are cool. I want to impress my friends. It isn't clear from your question if you are looking for active games or quiet games, but I'll share a couple of the games anyway. If you are looking for something different, please use the comment box below to add more details. Mad Libs are always a fun way to get the girls talking and laughing. Many stores sell mad lib books for a reasonable price. There are a few printable ones on my Mad Libs page. For your party I would suggest the "As the Day Goes" mad libs. There are a ton of fun dice games, but the one tween girls have told me they like best is the "Race to 100" dice game. You can find that game by clicking here. Almost every girl party I've been to lands up playing some form of Truth or Dare. For a slight variation, try my "Who, Where, Why" game. There is a printable goodie bag scavenger hunt at Scavenger Hunt Fun that you might also want to try. I'm having a slumber party with 10 of my friends for my thirteenth birthday. I've got games, crafts, food, you name it. I just need prizes for a few of the games (2 are prizes for a group). Please help! If your friends go to your house early, like 5, then you could go to a bowling alley, go golfing or go to Party City. My friends and I are into boyish stuff so we play fighting, spies, and manhunt. We also made a game up called Super Mario prison escape. You play by making a fort (your cell), and fight "invisible" bad guys like gumbas and stuff. This Game Is Called "Honey I Love You". You and your friends sit in a circle and one person is in the middle. The person in the middle has to go up to somebody in the circle and say "Honey I love You. Could you give me A smile?" The person has to say it weirdly to try and make the other girl laugh. After the person in the middle says that, the girl she has asked has to say with a straight face, "Honey, you know I love you, but I just can't smile". If the girl laughs she has to trade places with the girl in the middle. If not, the girl in the middle has to stay in the circle until she makes a girl laugh. Im turning 11 on January 14 and I need some activity ideas!!!! We're going to a hotel and going swimming there as well. We're going out to supper across the street from the hotel, so yeah. I love all of the ideas on the site, but I am open to any others. There will be four of us, including me. The rules are that you have to swallow it. You only get to put 3 things on the spoon and they have to be edible. Play 20-30 seconds of a song. You have 10 seconds to try and guess what the song is. The player who guesses the most by the end of the game wins a prize. Hope you like this game. Get everybody in a circle with a tray of Maltesers and a straw each and a dice. If somebody rolls a six they have to start sucking the Maltesers with the straws and putting them in a cup or bowl until the next person rolls a six. Truth or Dare, Scavenger Hunt, Would You Rather, Beach ball questions, or Make some Jewelry that the girls can take home. You might also want to play pass around, which is where all the girls sit in a circle, and each girl takes of something that she is wearing (for example, pair of earrings, bracelet, t-shirt, socks) and passes it around. Tell the girls to pass it 2 people to the right, now 4 people to the left back, 1 person to right, or however you want to do it. When the game ends, each girl should end up with a new shirt, bracelet or pair of socks! I can't wait for my sleepover tonight. It's going to be fun. Make your own spa. use hand or feet lotion for massages. Listen to soothing music. Light scented candles for a relaxing aroma. Have cushions set up so you are comfy. Paint your finger and toe nails. Do your hair and use sparkly clips for a diva effect! Do makeovers: use lip gloss and lipstick, eye shadow, blush. Play Truth or Dare or Would You Rather. Design photo frames and use pics of you and your guests to fill them. Have a fashion show using only foil or only toilet paper or something like that. Play soccer in your back yard. Play Truth or Dare (there are probably going to be more dares though). I am having my 10th birthday slumber party this weekend. We are going to go swimming and have our own spa (manicures, pedicures, hair styling, etc.) We are also going to make pizzas for dinner and maybe do crafts in the morning. I am really stuck on games to play. I was thinking of doing pass the polish and Twister and charades but those are just ideas. I need someone's help and quick! There are gonna be 4 girls ages 10-11 and we are really chatty and love to goof around. The cellphone game seems fun but my friends and I don't have our own cell phones! HELP!!! I'm having a 11th birthday sleepover party and I had the idea to play various games like Twister and wii and other fun ones like that. Then the winner gets some fake money (can be made out of paper or you can get it from Monopoly!) and when those games are done play Truth or Dare, Would You Rather and secret telling and if you don't want to tell something that some one asks you, you pay in a certain amount of money and in the end when people have used up all there money you can play normally or just give up! Is it a good idea? Also, I suggest watching a film and getting a take away. I love the idea of giving play money for winning games. In fact we do that often and create money to match the party we are throwing, but you can also get toy money at the dollar store. The only flaw in your idea is that there is no loss in giving up the money in exchange for not telling a secret that I can see. And who gets the money? The person who asks the question? If so, someone will always have money left. We usually have a candy bar or prize table that guests can spend their money on. I don't know if that is in your budget or not. If not, prizes could be rewards like getting to choose a movie, or the girls having to paint your toenails however you want, etc. My two cousins and I love to paint our nails, swim in our hot tub, draw and jump on the trampoline, but no super scary movies. I'm age ten and I want to make sure that we each will want to all do the same things for our sleepover. The ages are 5 Bree, 6 Emm and me, Suze 10, so if you have any ideas please tell me because the sleep over is on Friday, August 10th! So tell me soon!!!!!!! We are already playing manhunt and truth or dare, but we are not sure what else to play. Please help! I need awesome ideas! Please help me out here! It's zebra pink themed, and I'm turning 11. I need some games that are very time consuming. Party starts at 4:30. There will be 1-20 people who are in the ages of 8-11. We need fun games and not kiddy games please! You probably already had your party, but here's some ideas anyway that you and your friends will hopefully enjoy. If you have a pool just have a simple pool party with some pizza, snacks, soda, and music, of course. If you dont have a pool then you could have a barbeque with some music, chips, and maybe some other snacks. You can watch a movie and set up a concession stand with king size candy and popcorn! Hope I helped :p! You know how they say unripe bannanas are good to clear out your pores and cucumbers help your skin to feel good and clean? Well, mix them both together to make a great mask. Ok, so my 12th birthday party is in a week. My friends and I aren't girly, but we're not tomboys either and there are no boys coming. There will be 10 of us. Help! This is the best website! Thanx for all the grrrrrrrrreeeaaatttt ideas!! OMG! This is great! Thanks :) My first sleepover is my bday. This SO helped:) Thanks!!! I Need Help Planning Activities! by: 12 about to be 13 needs help! Movies, Food, Dessert, PJ Fashion Show, Scavenger Hunt, Cell Phone Game. Please address your ideas to Sarah Danielle when you comment. Anything Justin Bieber, but no Justin Bieber hating and talking about how much you hate Justin Bieber! Invite your favorite celebrities like Justin Bieber over your house for a slumber party if you live next to or near them! you should have a baking fun contest if your mom or dad says that you can. Well... I'm having a sleepover on Saturday with 3 of my friends and me, so there is going to be 4 girls all together and I'm stuck on ideas of what to do! I'm going to be 11 so there will be 3 11 yr olds and 1 10 year old. Comment if you have good ideas on what to do (nothing scary!). Also, I'm having a normal party before that with the 3 girls and 2 boys and I'm not sure what games to play. Comment for both if you have ideas! One person acts out an object and the other guests have to guess what that person is acting out. You can't talk. Keep going till everyone has gone once or twice. Almost all slumber parties I have been to order pizza. I would say order cheese pizza because not all of the girls will like other things on their pizza, but that's up to you. Order some bread sticks too. You are probably thinking, "oh, like for 5 year olds." No! Go buy some cheap things like nail polish, lip gloss or even cute socks! You can have your scavenger hunt outside or inside. It matters if your birthday is in the summer or winter. Mine's in the winter so I have it inside. Make sure that everyone gets the same things and hide them around the house. Don't hide them in too hard of places because that can take a long time. It ends when everyone finds their items. Then, give them a cute goodie bag or something to put their prizes in. If you dont have a wii, you can't do this, but if you do, have the 2 remotes in 2 peoples hands and the other guests behind them dancing along. It's so fun. I did this last year! Make homemade facial cream. Geteye pads and cover the girls' eyes. Have cute pillows so they can lie down. Also, do nails, makeup, and each other's hair all pretty. Go to the store and get marshmallows if you don't have any. It matters how many people you are inviting to the party as to how many bags of marshmallows you'll need. First one girl sits in the chair and has to put as many marshamallows in her mouth as she can and as she puts each one in she has to say "chubby bunny" until she cant say "chubby bunny" anymore. This has to be outside because it has to be really dark, like midnight dark. Hide glow sticks in bushes and plants and stuff and then let all the girls outside to go find them. Whoever finds the most first wins and gets a prize! Find a singer or whatever that all the girls like (let's just say Justin Bieber). Tape the poster on the wall and put a blindfold on. All of the girls get their own lipgloss and they have to put the lip gloss on and kiss the poster. Whoever is closest to his lips gets to bring the poster home. Each girl has to bring their cell phone and if they don't have one they can use like your mom's or dad's or home phone or even an ipod if they have a call app. One person is the hider and it's like hide and seek. The rest of the girls split up and try to find the girl that's hiding. If it takes a while the hider calls each of the numbers and gives them clues. For example, let's say they are in a clothes closet. The hider will call one of the girls' numbers and say something like this... "There sure are a lot of clothes in here". Then, they all run and try to see where the girl is. Oh, make sure it's kind of dark. The Best Slumber Party Games Ever! Okay, I have collected like tons of games here. Ghosts-in the Night - You all go out and chose a 'base' and two people are the catchers. They both have lights and close their eyes and count to fifty. Then, everyone hides. When they have finished counting everyone goes to the base like forty forty. Then when they find someone they shout ghost!! And then they are IT! Foil outfit - Someone is the judge while you get into teams and make an amazing designer dress out of foil. Sleeping bag - Make a house out of random stuff and whoever completes it quickest wins! Cream Game - Get a plate and pile it with cream and put a sweets inside the cream and then each take turns to get it out. Smoothie - You all make a smoothie and then you all try each other's smoothie and guess what is in it. I love all of the ideas and I am having a slumber party very soon so I am trying to find the best games. I also have my own idea. My friend and I looked online over and over, like about 100 times. We then got bored and made up our own game. We call it chicken or dare. It's basically truth or dare except there are only dares. If you are uncomfortable with a dare you use a chicken. When you use a chicken the other players get 10min to make you look like a chicken. You are now out, but on the bright side you still get to play. You just can't be dared. You now make up dares. You also set up and help with some dares. This game is also very fun for kids because you can get out and still play without being embarrassed. You would have the best seat in the game, if only you werent a chicken! For your party, get an empty box and fill it with photos of you and your guests, magazines, and any other things and make a video on the camera and keep the camera in the box. You can also make a quiz about you, fill it out and put it in! In a year or two invite those same guests over and open it and watch the video! Have fun. Making a fort is always fun! I love this site! by: taylor swifts biggest fan! Hey guys! Here is a great game idea! Choose some one to be the mummy! Wrap their head in toilet paper so they can breath but not see! You can wrap the whole body for fun but that is optional! Have the mummy feel her way around the room to try and tag someone! She might run into stuff, but its funny! When she tags a someone, that person becomes a mummy too! Keep doing this till there is a winner! Reward them with a prize! 6. Play Would You Rather! If you have a fall party you might want to have like a bowling party or skating party or have one at your house and stay inside and play games! If you have one in the winter, stay inside, play games and if it is close to Christmas have a dirty santa or gift exchange or if it is snowing, go outside and play in it or go caroling! If you have a spring bday party, stay outside and play sports and dance and at any sleepover always eat, have a fashion show, sing karaoke, and play truth or dare!!! My 12th b-day is January 7th. Here are some winter games that I am going to do!!!!! Hope this helps whoever needs it. Hi everyone! I'm having a slumber party! Only about 2- 6 people are coming. So, it's going to fall on my b-day! It's not going to be only about me. Well first, since it's in fall, I was thinking to do more indoor stuff! Like first I was thinking to go roller skating and have some pizza. When we come back home I was thinking to watch some movies and open a sundae bar. Then like around 12:00 p.m. were just going to chill and play Truth or Dare, CHUBBY BUNNY, and Mafia. Then we'll have a fashion show where everybody at least changes 2 times and walks a runway with music while taking pics. In the morning we'll have some breakfast and then go to some store to upload the pictures and get some copies. When we get home we could make a magazine and glue the pics we took from fashion show and write description next to them. For the rest of the day we'll just chill and do our own thing without any plans. A great idea for a slumber party game is Musical Nail Polish. For Musical Nail polish get a bottle of nail polish and music that stops every once in awhile. Pass the nail polish around until the music stops, then, whomever is holding the nail polish quickly tries to do their nails. When the music starts again just quickly put on the cap and start passing the bottle around again. The person with all ten nails done first wins. Another version of musical nail polish - about halfway down the page. Hi! Thanks. That will help me SO much to plan my party. Thanks. I will have an 100% awesome sleepover party ever. Then you see how much they love each other by counting how many l's o's v's e's and s's there are in their names altogether. I might have a slumber party for my 11th birthday, but I'm not sure. Since I'm turning 11, my birthday's in September, and I'm going to be at a new school, I'm not sure if my new friends should come and if my sisters should come (because their annoying). What do I do? Reply: Is your new school in the same town? If so, why won't your friends from last year be at the same school? If your birthday is the first week of September you won't get a chance to make new friends to invite to your party. If it's at the end of September and you live in the same town you used to, maybe you can invite a mixture of friends, old and new. I really like this website so I am writing a couple of games you can play. That's all the games that I can think of for today, but just try the stuff... it is so fun. Who ever goes to sleep first, you put stuff on their face or prank them. You can even put stuff in their mouth. THX SO MUCH!!! Your party ideas made me mucho happy! I am 100% positive my party will rock! Also, here is a game idea. You divide your besties into groups. Each group has to do a 5 minute play. You vote on whose is the best and the team gets a prize like a bag of chips for humor. The Best Party Gal EVA! Whoever falls asleep first gets a lemon in their mouth. If you have any questions please post and if you have any suggestions for me please post also. I Have Party Games 4 You! Ok, for all the people that want games, I have GREAT ONES you will love. Some girls (not all) don't like make-up and all that girly stuff so here is where to go! 1. Water balloon fight. Throw water bombs at each other and have your own hideout! 2. Gross bag. Put gross foods (that are edible) into a paper bag and go into partners and eat the food and guess what you ate! 3. Egg throw. Be in partners and throw an egg to each other and if it cracks or breaks, you are out! 4. Fruit bopping. Blindfold someone and make them get fruit from water without their hands. They use their mouth only! 5. Mummy wrap. Get in partners with toilet paper wrap the person as fast as you can! 6. Cream find. Have a tower of whipped cream on a huge plate and a gummy worm or something inside it somewhere. You have to put your head in the cream and find the worm with your mouth. No hands! I really hope these help! Go ahead and have the best party! In "pass the box" all you do is have someone put an object in the box and then pass it around. Once somebody guesses the item than that person puts the next object in. For a raffle you make numbers and hand them out. Then you call out the numbers and the person that has those numbers gets a prize. You keep on playing until everyone has a prize! Hope all these ideas help! 16. Can you eat it w/ chopsticks? 24. CHUBBY BUNNY! ... a person is picked and stuffs marshmallows in her mouth and each time she places a marshmallow she has to say ''chubby bunny'' I would recommend the big marshmallows. I am going to have the best party ever. I got Justin Bieber VIP invitations, Justin Bieber decorations, Justin Bieber quizzes, and last but not least... Justin Bieber everything... cool and awesome! I'm having 10 girls over for my 11th b-day. They will be coming at 7 pm and will leave at 11.30 am the next day. This is what I am planning to do. by: someone you dont know! I'm 12, so I hope this helps for older kids. My friends are having a sleepover at my house. It's only 2 people plus me so its nothing big. Having a spa day - doing our nails, having facials, etc. and at midnight we will watch a super scary movie. We will be sleeping upstairs by the T.V. in sleeping bags (so no one will fight over who gets the bed or the sofa). I'm having my 11th b-day in 3 months. I'm planning now and I know we're going in the pool and will play wii and other games or whatever, but I need a couple of AWESOME games that will blow my friends away. I want this to be the best party ever. I want this to be the party everyone will remember. Please help me out people. I'm HELPLESS!!!!!!!!!!! Please help me. My friends are bored and I need help... No one likes unhappy friends. Please give me ideas people!!! Fun Things for YOUR Slumber Party! P.S. There's a million things you can do at a sleepover so just be creative if your mind is out of ideas. God Bless!!! At 7pm were going to play more indoor games and that. Then at 7:30 we're going to order a pizza and at 8 we're going to watch a film. Then after we're going to play like truth and dare and stuff. You can have a movie marathon and give every one a pillowcase, some fabric pens, and write all the movies on them. Then after they can sign each others and it will be a keepsake people can check. Mark the movie titles on the pillowcase and then you'll have good movies to watch next time. I am having a super and when I mean super I mean super slumber party on next week Tuesday for 2 nights and I need games for like people 13-15 . I know there are some ideas above but those are a bit for younger kids comparing to my friends cus they don't really like kiddy games... maybe games like spin the bottle and stuff. MY FRIENDS LUV THESE GAMES!! ~can u eat it w/ chopsticks? I'm gonna explain them in my next comment... ;D Hope I helped you...SO FAR!!! My sister is having a sleepover for her 7th birthday and i have thought of some ideas. I forgot to plan anything for a sleepover with my BFF. It's only 2 people, so nothing too big, but I need ideas for free fun games, and movies I should get. Any advice? I am almost 10 and having a sleepover very soon here is what I'm doing. We will set up our sleeping bags and get into our pajamas right away. Then we will play twister. Then we will eat. Then blind makeovers. Then a game where you try to make the best outfit you can out of tin foil. Then a pillow fight, truth or dare and watch a movie. We will go to bed at midnight. Hi well, 8), oh you should get emoticons. Anyways, my mom is making me go to this little 10 y.o. girl who's turning 11's party at church. So I thought WE (my peeps have to go, too) should play some little harmless pranks on her! Any ideas? Please reply party is next week! I am having my slumber party and i am planning to make t-shirts, play truth and dare. But my mind is brain dead and I need your guys help!!! PLEASE HELP ME I AM DESPERATE!!! Hi I'm having a sleepover to for my 11'th B-Day and I have many ideas. First you make a list of what the girls like, what they like to do what they do in there spare time. Like if the girls get bored you can play truth or dare. And maybe you could watch a movie that they would enjoy. Also at my sleepover we're going to make hair flower clips and bags with are own designs. And I know it's a little grown up and all but my friend's mom owns a spa so we get in for free and get our nails done. And you could watch T.V. play the Wii. And me and my friends love to sing soo if you have a sing-along game or Dance Dance Revloution, Well I hope you liked my ideas BYE!!!!!! Tomorrow is my sleepover partie have games but need more. We are going to stay late up at night so we have lots of time to play. I want some fun and funny games. I already have pass the parcel and hot dog. Need advice! Oh, and i am a 11 year old so fun games. These are some that I have found a lot of fun. 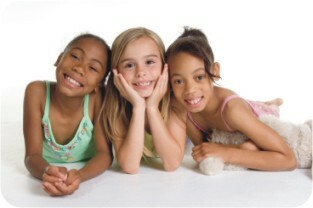 You can also look for themes in the American girl snooza-plooza book for slumber parties . I hope you find this fun and helpful! Please comment if you used any of these fun ideas! I am having a twilight saga slumber party. I need things to do. I already have kiss the twilight poster, apple baseball, truth or dare, blind makeover, spin the bottle. My party is October 8 2010 but I am planning early. Hey so you could play spin the nail polish! Get a lot of nail polish and pick one bottle. Then spin it and whoever it lands on has to paint their nail that color. Switch bottles. The first person who's nails are all painted loses (keep going til everyone has painted nails). Well, I'm having a slumber party this Friday! I have to go to church so all my friends that are coming are coming from church. Anyway, 3 girls get to come to my house on Friday at like 11:30, then stay till Sunday. I've tried all the ideas on previous parties but I had to improvise. I don't have lots of nail polish and my mom thinks make up is too messy so I need BIG ideas. We might go to a huge park or an indoor swimming pool OR Dave and Busters but other than that, I'm stuck! and I'm inviting five girls for a slumber party.! have a water balloon fight, decorate our own cupcakes with two different frostings (Pink and Orange) and toppings (Sprinkles, Sour Patches or any other chewy candies). When it gets later into the night we are going to rent some scary movies and buy lots of theatre candy! We are going to have a makeover and we are going to paint each other's nails, do the girls hair and make up. All these games have helped!! Thanks, but i still need more!!! Get everyone to sit in a circle and everyone goes around and asks a truth question like in truth or dare but everyone has to answer it. It can be anything that they don't want to tell u. Another idea is to split up into two or three teams and give each team some makeup and dress up clothes and tell them to put on a funny skit. I had my sister be the judge. The funniest team wins. THANKS SO MUCH FOR THE IDEAS! IM GONNA HAVE THE BEST SLEEP OVER PARTY ever!!! Also, a fun bonding activity to do is to go bowling or mini-golfing! OK well for my 12th party were had a survivor theme!!! When the guests walked in we started making homemade pizzas then opened presents, ate ice cream etc. After that we gave each player a colored bandanna and had two teams of blue and orange. Our first challenge was the first one to get the gum off of a plate w/o using hands and blow a decent bubble. Note: You could have teams eat one can of baby food and just think of more challenges that are ..... different. After that it got darker so i made a list of things to find outside such as fire hydrant and take pics of the whole 20 things on the list. Next we had a projector outside and watched a movie outside while my mom kept filling up the candy bar. We slept in a tent outside and did camping things (roast marshmallows.... etc.) in the morning we set breakfast up like a restaurant and my mom/dad were the servers. We had laminated menus and soft music just like a restaurant. After that my friends and i just kinda did what we liked but it was an awesome party! haha and also i forgot to tell that after the challenges the players got graded on how good they did and got rewarded Monopoly money and then had an auction instead of goody bags. So the auction was like, well, my mom had like 6 gifts wrapped up and no one could see the gifts. Some were goofy big sunglasses and 10 dollars to Claires and we spent our monopoly money on it! best bday eva!!!!!!!!!! Another game is called Toilet tissues. It goes like this. Pass around a roll of toilet paper and tell everyone there to take as many pieces as they think they need to and however many they have with everyone of them they have to say something about you example: I take 10 peices I say 10 things about you. Please write back to me especially Ms.Annonymous. I am partying with my 2 best friends. I am planning bowling, movies, hide and seek, and karaoke (or scary-oke) but I still need more ! Please help !!!! They are both girls I will have some family 2 including my 1 yr old sis and maybe my 5 yr old cuz. I am having my 11th birthday party in June I just got a new pool so my party will be at my house. First we will play truth or dare. After that we will swim for a few hours. Next is lunch. After lunch we will eat cake and open gifts. Then play play truth or dare, hide and seek, and mad libs. Next we will dance to Justin Bieber music while watching fireworks in my yard. Then we will eat dinner. After that, because it will be dark, we will be spies. Then we will probably watch movies until we fall asleep. We will eat breakfast when my mom wakes up. Then we will swim. After swimming I will pass out goodie bags to all but 1 guest who will receive hers later. She will be staying later than the rest and going to the mall with me. It will be an awesome party!!!!!!! P.S. Not all details are listed. I need games but i can't use money. I want them to be loud games for the outside and that people can get wet with like in a pool or with a water balloon. You can do makeovers and spa like facials... um... an active game with everybody running around or a scavenger hunt. Hope I helpppedd! Play soccer and volleyball have a swim party. For decorations make it bright pinks blues oranges yellows. Give each other makeovers. Hire a masseuse. Have a coco fountain and a kids bar filled with sodas & candy. Have a pillow fight and watch a lot of movies. Do fear factor and truth or dare. Hope that helped u.
im having a b-day party in 4 days i got some games to play! fear factor, soccer volleyball scavenger hunt and at night teepee some ones house. these are the games im playing at my party hope they help!!!!!!! i think u should do a big scavenger hunt!!!!!!!! Yo! My party is next week! My friends and I are going to tye dye pillow cases! So much fun! Instead of cake and ice cream, have homemade ice cream sandwiches! Yummy! Also, you have to do blind makeovers, play truth or dare or would you rather, and watch a movie. Oh yeah, talk all night! Make sure you have snacks and drinks all the time! Make sure everyone is comfortable and happy. Obstacle Course: you get in your sleeping bag and hop around an obstacle course made of couches, chairs, tables, pillows, etc. I am having a slumber party for me and my 2 cousins. I need some ideas and games that don't cost any thing, like homemade games and stuff like that. And if it helps u I'm dealing with 10 and 11 year olds. i am having a sleep over but i need some help for the theme. i want it to be one that everybody knows. i have some ideas like to do american idol or dance shows and puppet shows. i love twilight but not much of my friends have watched it. Listen, I just went to a slumber party last night. The b-day girl's dad is famous (not giving name). Anyways, we went into the recording studio and recorded a song and took home a cd as a party favor. Say your crushes (example: somebody loves somebody) so you would go in a circle and tell your crushes. Then your friends when you go to school they will tell your crush and ask him if he likes you. My neighbors and I made this game up. Someone (try the smallest in the group) goes under a bed (and they are "the monster"). (Make sure they can see your feet) Everybody wears a pair of socks. The idea of the game is that you try to keep both of your socks on. The monster will try to grab from under the bed at UNEXPECTED times while you walk across the floor by the bed. If someone has lost both their socks to the monster, they become the monster until they get two socks from one girls. My BFFL is turning 11!!! So I'm helping my friend with her party and i need to know some awesome games to do at a slumber party. okay step one. Dont wait till the week of your party or you will get stressed out and cry. at least plan a month in advance. sorry if its too late 4 u. So when all ur peeps get there you have to have some things to do like play a game like twister. the person who wins is the twister champion. You can decorate t-shirts or pillow cases or anything to remember your party by. Also you have to look out for you guests. you have to like your guests and they have to be your friends. you are not star of the party you are just the reason and dont think your guest dont know that. but if its not your bday you are not the star or the reason. you are just the host. let everyone get a chance to do something they want. make sure everyone is having with with each other. dont plan everthing just make sure you have plenty of things you can do. take tons of picture so you have mementoes of your party. watch a movie that everyone wants to watch. if someone is not allowed to watch something dont let people get mad at her. make sure you have plenty to eat at all times. when everyones in bed play telephone. if you dont know how to play ask anybody. make sure everyone get a chance to make up the word. it should be something made up and it should be able to get twisted around easily. I hope your party is as fun as possible. take this advice from an experienced party hoster. My 11th birthday is in like, a month. I am way too exited. Don't be afraid to embarress your self. Have a photo shoot with crazy outfits. Make a video if everyone singing to their favorite song. Have you played the game Sardines? 1 person hides and the rest of you try to find that person. Once you find the hider you quietly hide with them. If you are the hider make sure you hide in a spot that is big enough for everyone to fit in. Once the last person finds everyone hiding, they lose. The first person to find the hider gets to be the hider for the next round. It's like hide and seek but backwards! Have fun! We schedule each hour as a theme, and the girls get all dressed up for each theme. The person with the best theme costume wins a prize. Hip Hop Hour- we dress up with baggy pants, hats, sun glasses, etc... and have a rap off- this is hilarious. We have to make up a rap with a partner and perform it for everyone. Country hour- we dress up with cowboy hats/boots and do some line dancing that we learned off of you-tube. It's so much fun and gets our heart pumping and gives us energy. i am 9 years old i have sleepovers almost every weekend.here are solutions! the girls sit in a circle one person whispers a sentence in the girl next to them that girl changes the secret or if you did not hear it say how you think it was to the person next to her it goes on till the last person the last person says OUT LOUD to the girls and the person who started says after what the real sentence was. WITH THESE IDEAS I NO THAT YOUR SLEEPOVER WILL BE A BLAST!!!!!!! Hi my friend Samantha is turning 13. Her mom left me to do every thing. I was looking on the internet and found your website. At first I didnt know what to do then I saw the party games. I tried one and I liked it. Then they came home and they loved it. Thank you very much for giving me the party games! All of the games and activities on here are so fab! I'm using a lot of them. Thanks! I needed some games to play at my sleepover. It's 2 days before it so thanks to all of you that posted all of the great, fabulous, and awesome activities! I am trying to find ideas for my nieces birthday slumber party. She is having several friends over for pizza, movies, spa treatments, however I do not have any other ideas. Any suggestions. 1. Get out some index cards and write your name on them, along w. 3 facts. (one of them should be a lie) then everyone else does the same thing...then you switch cards and guess which facts is a lie! 2. This isn't a game, it's a theme. you can make your theme like this...get some hay and spread it all around your backyard...then make a firepit...you can singsongs...roast marshmallows and cook hotdogs on sticks...your friends will be talking about the memories for years! HI I HAVE SOME COOL IDEAS LIKE TRYING TO EAT JELLO WITH CHOPSTICKS THE FIRST ONE DONE WINS, AND TO PLAY GHOST IN THE GRAVEYARD (YOU CAN SEARCH HOW TO PLAY IT)ALSO TO PLAY MUSICAL CLOTHES;YOU HAVE A BUCKET OF COSTUMES AND FUNKY CLOTHES WHEN THE MUSIC PLAYS YOU PASS AROUND THE BUCKET AND WHEN IT STOPS YOU PICK A CLOTHING AND PUT IT ON THE PERSON THAT LOOKS THE FUNNIEST WINS;ONE MORE IS TO HAVE A BUCKET OF FUNNY CLOTHES IN A ROOM AND SEND THE PEOPLE INDIVIDUALLY INTO THE ROOM THEY HAVE 60 SECONDS TO MAKE A SUPER SILLY COSTUME. my name is Lea and I will be turning 11 in December. All of my friends are older than me. I'm deciding to invite 15 friends to my big slumber party. I really dont have a theme but if you have any ideas of themes please tell me. So anywho I don't know what we should do for activities and what to serve for food. my 10 year olds party!!! you guys rock i made a party like 1 month ago for me and my 11 year old friends we blew up a lot of balloons and at night somebody woke up when he was sure everyone is sleeping and popped the balloon it was fun we also put on high music and went on dancing crazy & in the morning we had a tea party. I would recommend the big marshmallows. *leg race... 2 people tie their ankles 2gether and race to the finish line. :U TURN OFF THE LIGHTS,EVERYONE STARTS DANCING, WEN SOMEONE TURNS THE LIGHTS BACK ON and freeze, whoever moves is out. To the theme "I want candy" throw a couple bags of cool candy in the center of a room. Each girl holds a cup/bag (with their names if possible)and as soon as the song starts they have to pick up the candy with their mouths no hands and put it in the cup. Once candy is all picked up the winner is the girl with the most candies and give her a prize. HOPE THESE IDEAS HELPED !HAVE FUN!!!!!!!!!!!!!!!!!!!!!!! Hey I'm having a slumber party and I'm turning 12. My theme is twilight. And I was looking for games to play. I got a lot of ideas at a lot of different websites. good luck! in 3 days i have a sleepover and i am the game planer! what games should i do???!!! I'm having a sleepover this friday and thats 4/17/09 and i am turning 11 too and i bought a game that sounds so old but i bought twister and i have a karaoke machine that we will use and we r buying a movie so i hope that gives u some ideas. also if u want to write back (plz do plz plz plz plz do) i look forward to tlking to you! thnx! also we have the same name! Me and my bff had a slumber party the other night and decided to have a prize box.Each time we win a game we close our eyes and pick.Prizes can go from address books,notepads,wallets,quarters,pens,and more. Ok this game is awesome! You have a runway (made out of like a red blanket) and you seperate the friends into two or three teams. Next, you give each team a bunch of newspaper and tape and time the teams for 30 min. You then make the dress of your choice with the newspaper and tape and walk the runway. then A parent or guardian judges the dresses and whichever one the judge likes best gets a prize. We played that at my bffs 12 b-day party. It was so much fun. these games are fun to play: telephone-1st person in line says something and it goes through the line. last person blurts out the sentence and lets see if they get it right. kiss poster-get poster of cute guy celeb and each girl puts on lipstick and cover girls eyes and whoevers lips are closest to his wins. graveyard-everyone lays down. somebody watches them. no one moves. however, if they do move they are out.heads up (instead of 7) 4 up. you should know how to play that if you dont you are a little wackoo. i think you should play a game called a little somthing i like to call maybe put some make-up on .Orpaint your nails. hi im sarah, im 10 years old. my friend is coming round 2day at 11.45 and we have nothing to do,we might do the treasure hunt but we dont know. please give us some MEGA good ideas!!!! Have you ever played Dare ball? Its so awesome!Get a ball, music, and cd player. Some one faces the wall with the Cd player. Everyone else makes a circle and throws a ball. When the music person stops it, who ever has the ball is it. Every one EXCEPT that girl goes out and makes a dare for her. She has 3 chicken outs she can use, if she did good she can have one more. The other way is to not have music and if you drop it you are it! I have had a couple of sleepovers and you just have to be creative with coming up with games. i HAD A SLUMB3R PARTY LiK3 2 W33KS AGO N iT WAS SO AW3SOM3 SO i AM GOiNG 2 T3LL U SOM3 iD3AS! G3T A L3MON 1 FOR 2 GiRLS[CUT iT iN HALF]THE GiRLS PUT TH3 L3MON iN TH3iR MOUTH AND WHO3V3R L3AV3S iT iN TH3iR MOUTH TH3 LONG3ST WiNS! GOOD LUCK AT YOUR PARTi3S N HAV3 FUN! For my daughter's 10th birthday we had a fashion party. it was the funnest time ever!!! I went to the goodwill and got tons of clothes, hats, high heels, glasses etc. Some thrift stores have a day when you can get a whole bag for $1.00. got bunch of make up from $1 store. we hung big shiny stars all over the ceiling from oriental trading company or you can make them. we put shiny silver fringe curtain over doorway of room where they were dressing and had a disco ball. played loud music and used kareoke machine to anounce the girls and the fashion they were wearing. The girls had an absolute blast! They loved it! My daughter is now 12 and they still play in those clothes. Her friends still talk about that party. i need suggestion for my 11th birthday and i have no idea what were going to do and i dont what them to be bord so if u have any suggestion please please comment. my name is erika and i need some ideas for my slumber party in may on the 17th. I don't know what else to do need more ideas!!! So, I am having a party with 10-12 year old girls coming and none of us like the same exact things. What games should I consider? I know that sometimes we are all active, but at other times we like to be in the house playing things like Mouse Trap or Truth or Dare. So ??? My daughter is turning 15 and I'm having her a slumber party and I don't know what kind of games to play to make it fun for the teenage girls. There are going to be about 13 girls at the party. Please help me! I need help quick! My daughter is 12 , and loves making things. I collected as much newspaper as I could for a few months, gave each girl a stack , and told them they are going to create an out fit out of the newspaper , and then walk in a fashion show. They loved it, it took up a lot of time. They were all very creative. im having a sleepover in just 2 weeks for my 9 year old B-day & have no idea what 2 play!Im inviteing 5 or 6 people! i just turned 13 and i want to have a slumber party with my 4 friends or even more but i don't know what to do where to get things what games 2 play im so confused!!!!!!!! i have no clue what to do!! I am having a sleep over birthday party with 11 o my friends first were going to a dance with 6th 7th and 8th graders and after we come home from that we hav nothing to do i need some helpp!!!!!! i need a game for 12 year old girls that is very intresting and sorta intense and fun!!!! Ok i've got a great idea, what you need is a knife a fork, and a big bar of chocolate.The name of the game is to try, and eat as much chocolate as you can, only using the knife and fork! Time them for 30 seconds, and whoever eats the most chocolate gets to finish off the whole bar! i invited the most popular girl in school for my 10 year old girl slumber party. what games should we play? i am having a party in 5 more days i filed all your games i am going to be 10 i am so excited! OMG! I love you're guy's Ideas, especially, the mafia. We are so playing that game! no mirror make over is a fun and cool game 4 sleepovers make sure to tell all your friend to bring all the make up they have . Thanx Ash! Your games rocked and gave me bright ideas!!! Do you think you can try to make up new games??? I'm pretty sure your ideas would really work. Reply: Thanks for the compliments on the games, however, Ashley didn't make the games. She asked for ideas for games. I'll do my best to add new games soon. There are several new ones on other pages of this site that you might like. I'm having a sleepover for all my friends and I dont know what to do. One of them likes playing games, but the others don't. I need help to make them all have a great time with me. I read some of the things people said, but I don't want to do any o those things. Please HELP ME! We are going to the movies first and then going out to eat, but I need a really fun game. I just need to know what game! Reply: Since you noted you don't want to use any of the ideas mentioned it would be helpful to have a little more information about what type of game you are looking for. Fun is relative. Some people have a blast with charades and others with soccer. Both are fun to the people who enjoy them, but may not be to you. I'm holding a fun party, too! Here are my ideas! Play some games like truth or dare! Hey guys! I have an idea that I'm doing at my sleepover. You take glowsticks and hide them in your backyard. When it's really, really dark... like midnite you send your guests out to find the sticks (if you want you can even record spooky sounds and scare your friends). Whoever finds the most glowsticks gets an awesome prize! OMG! I did not know what to do for a party that I'm throwing, but when I clicked on your website, I think God was showing me a sign! Your information and printable activities helped me out so much. Thank you and don't stop what your doing! MAY GOD BLESS YOU! I'm having my party tomorrow. I'm going to play a game called Piggly Wiggly. Have your guests put out there sleeping bags and then pick someone to be it. That person leaves and then everybody else hides in someone else's sleeping bag. Then, the person who is it comes out and sits on the end of the sleeping bag that they want and say "Piggly Wiggly." The person in the sleeping bag then says, "Oink" and the person who is it has to figure out who's in that bag! Have fun! Well Ashley... You're probably like 12 now, but a great game is KISS THE POSTER. All you need is a large poster, lipstick (1 Per Girl) and well... YOU! You hang a poster of a really cute guy you all love. Then each of you applies lipstick and tries to kiss the guy on the poster as close to the mouth as possible. It is good to use different color lipsticks, but if you have the same you can just sign your name next to your lip print. Whoever kisses nearest to the mouth gets to keep the poster! I live in a small apartment. Should I do a sleepover? Reply: I don't see why not. Unless you are wanting to try and fit 50 people into a room that holds 10 comfortably... you should definitely have a slumber party. They are fun no matter where they are held or what you do. Thanks! My mom made me plan my own b-day party and your page helped A LOT. Now I can have fun & watch a movie. Hi! I'm also having a slumber party and from my research I've found a game that I think will be really cool! Bubble Walk - For this game you need to lay out the bubble wrap on the floor. One person at a time walk across the bubble wrap without making it pop. It's really challenging but extremely fun!! anywayzz i gotsta bounce but gud luk with ur party i hope it turns out great! I have a really good game for you! All you have to do is gather your friends in a circle (as many as you like, more than five). You need a dice, chocolate, a knife, a fork, and a plate. Then, you start with one person in the middle, others are rolling the dice (crazily!) until they roll the number...6. Person who rolled dice is then in the middle and eats chocolate till the next person rolls a 6. Rules are that you can't touch the chocolate with your hands (you can make up your own rules). Continue until you have had enough! I am having a slumber party just to have fun. I need your help with play games. Reply: If your theme is a music night you could do music and/or grammy trivia, play Guitar Hero or DJ Hero on Wii (you can rent the Wii and games if you don't own them), set up a karaoke stage, have airband competitions, and rent concert videos or watch MTV or YouTube videos. If you have a camara, all you have to do is hang up a sheet that has color, dress up and you have a fun free activity... a photo shoot. Pick a leader, and get everyone into a circle. Shuffle a deck of cards, taking out all the jacks, queens, kings & aces. Leave only one king, one queen, and one ace. Hand each person in the circle one card. Make sure they don?t tell anyone their card. If they get a card with a number then they are just a regular person. If they get a queen, they are "the doctor", if they get the king, they become "the cop" and the ace becomes "the mafia". Now everyone hands back their cards and closes their eyes. The leader calls, "Mafia, open your eyes." When the mafia opens his/her eyes, the leader calls "Who do you want to kill?" Silently, the Mafia points to the "victim", who can be anyone. Then the mafia is instructed to close his/her eyes. The leader calls, "Cop, open your eyes." When the cop opens his/her eyes, the leader calls "who do you think the mafia is?" The cop silently points to the person who he/she thinks is the mafia. Next, the cop is instructed to close his/her eyes. The leader calls, "Doctor, open your eyes." When the doctor opens his/her eyes, the leader calls "Who do you want to save?" Silently the doctor points to the person who he/she thinks the mafia is after and that person will not "die" for that round and the doctor is instructed to close his/her eyes. Next, the leader says, "Everyone open your eyes." When everyone?s eyes are open, the leader announces whom the mafia "killed" and if the doctor did or did not save him/her. That person is out of the game. Everyone guess whom he or she thinks the mafia is. After the discussion, they vote and "kill" who they think the mafia is. If it was the mafia they killed, they won, if not, they killed an innocent person and that person is out. The game continues through a few more rounds. Do a raffle! Give tickets out and then call the numbers that are on the tickets. Whoever wins gets a big prize! Thank you for the ideas and for the mad lib fill in sheet. I'm sure it will be a hit!